Okumura has a history of over 120 years. It started in Asakusa, Tokyo when the founder Kinjiro Okumura produced and sold slippers for indoor use. Slippers are the symbols of Japan’s cultural sense of cleanliness as they help us to prevent viruses from entering rooms. They also have the role of reducing the burden on our flooring materials and making our houses last longer. Above all, they support us in a variety of ways, no matter what kind of lifestyle we lead. As a long-established manufacturer of slippers, Okumura’s mission is to use our products to help communicate Japan’s cultural history to future generations. We wish to deliver a richer lifestyle through slippers. 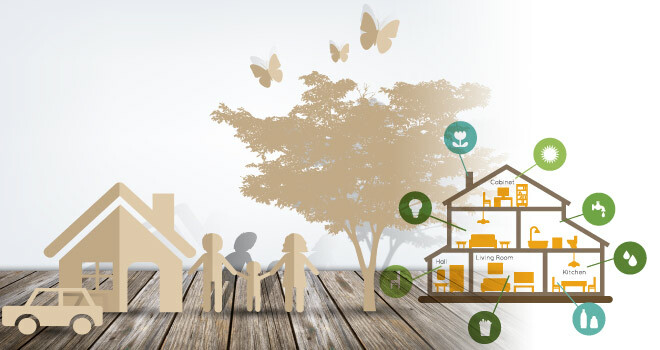 We pride ourselves on crafting products that meet changes in people's lives and their needs. As part of this approach, Okumura is actively promoting the following three initiatives. At Okumura, we regularly conduct focus groups with mothers to help us understand their consumer needs and make products to meet those market demands. We are able to listen to the characteristic values of the modern world and the voices of users and the lives they lead. Since they can bring their own children to the focus groups, it is also a good place for mothers who may want to find a creative outlet to be part of a challenging environment and give shape to their ideas. "Hydro Silver Titanium®" decomposes proteins such as pollen, house dust, fungus spores, bacteria, etc. into water. By utilizing this technology, Okumura plays an active role in developing lifestyle products such as storage boxes and slipper racks, and cleaning goods such as mop slippers and foot mops with built-in anti-allergy capabilities. At Okumura, we buy hand-woven cottons from a small village in Indiato produce our slippers and related items, helping to revitalize a village that had been suffering from depopulation for many decades. Every year we develop new items using Indian cottons and the items are popular for their hand-woven texture and volume not usually found in mass-produced items. By expanding this trade we hope to secure the future of this hand-woven cotton industry and its traditional techniques. 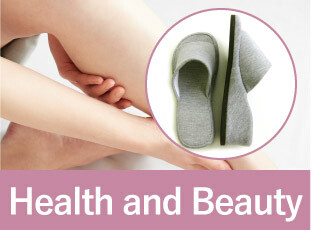 Long-selling products such as our “refre” and “with” slippers closely fit the sole of your feet and softly stimulate various reflexology points. Each slipper will gently wrap your tired feet. 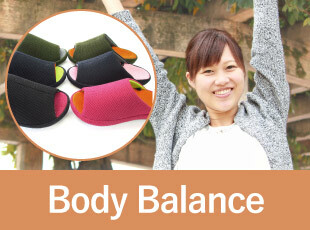 Our "3D Comfort" line has a special structure to correct your walking posture. By straightening your back naturally, you can tighten your posture and even increase your work productivity. The "with" series features a raised heel with a special dent that fits the sole of the foot perfectly, tightening your muscles and creating an elegant step. These slippers will help you achieve your best style. 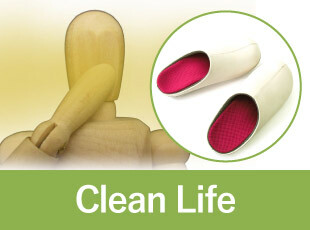 Our various slippers are equipped with strong deodorant technology and our "Foot Fresh" function that removes the components of foot odor using a fiber sheet with hygroscopic power, making them highly appreciated in public spaces such as offices. 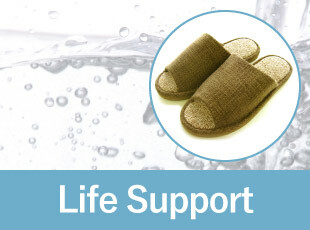 We have multi-functional slippers to match your daily life, such as our "water pass" series which is perfect for working in the bathroom or the balcony, or the “ecru” line which allows air to pass thorough easily.